The Karoo gives you 14m of storage across 3 tiers. Never get caught with wet washing on the line again. The Karoo has 4 hanger corners which is perfect for coat hangers and that favourite blouse. 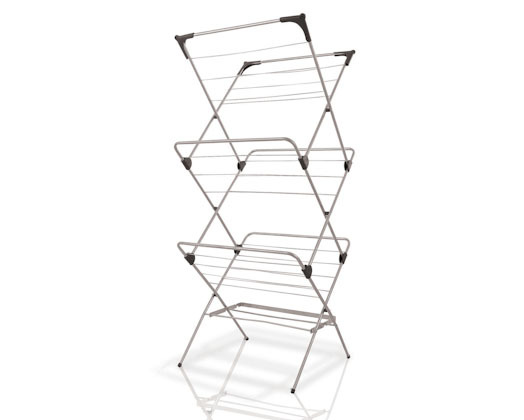 Once your clothes is dry simply fold flat the Karoo for easy storage. 4 hanger corners - ideal for coat hangers.